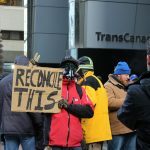 Efforts at reconciliation by the Canadian government were frequently brought to contrast violence against Indigenous people by the protestors. Photo by Jenna Tytgat. 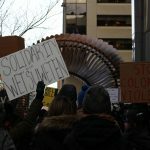 Members of the Wet’suwet’en have been denying workers of Coastal GasLink, a subsidiary of Calgary based company TransCanada, access to the area. They are stating that they do not have the permission of the ‘hereditary leaders’. 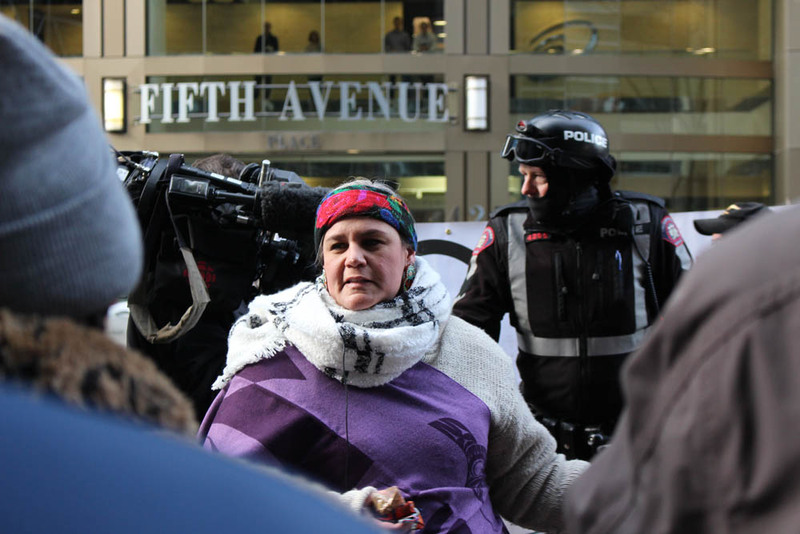 On Jan. 7, the RCMP arrested 14 members of the Gidumt’en Clan, of the Wet’suwet’en First Nation, saying that they had violated the terms of an interim court injunction requiring the removal of a blockade along a forest service road issued in December. The Wet’suwet’en have prevented pipeline crews from entering the area. 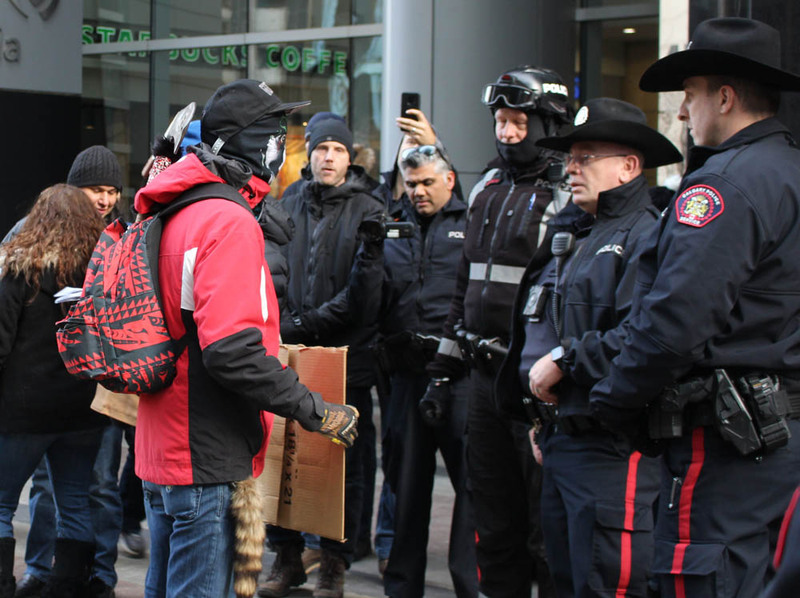 The arrests, which the RCMP say occured after a several hour long meeting at which the elders and pipeline company failed to reach a resolution, have gone viral. Images depict armed RCMP members arresting members of the Wet’suwet’en Nation in -20 °C, lying face down in the snow. The blockade that had been maintained along the forestry road marked the entrance into Wet’suwet’en, which is yet unceded, and recognized as sovereign territory by Canadian law as per the Delgamuukw-Gisday’wa case in 1997. It states that the Wet’suwet’en people, under their hereditary leaders, still held the rights to 22,000 km2 of Northern B.C. 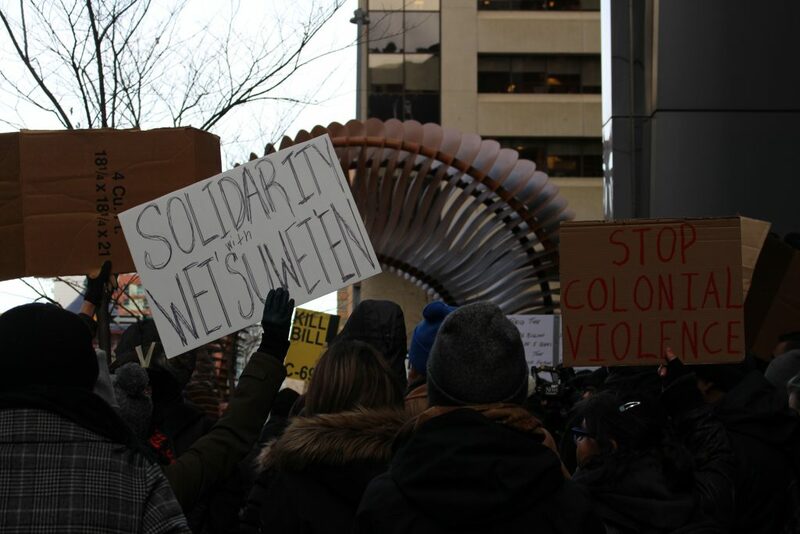 The demonstration — one of many events hosted across the country on the 8th, in response to a press release from the Wet’suwet’en First Nation asking “all people of conscience” to act in a day of international solidarity. 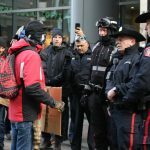 In Calgary, perhaps more than any other when it comes to pipelines, protestors met counter protesters, with a heavy police presence rounding out the scene. 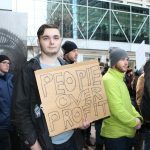 Demonstrators occupied the public sidewalk with signs and various chants of ‘Solidarity, Consent’, and ‘Kill that pipe’. 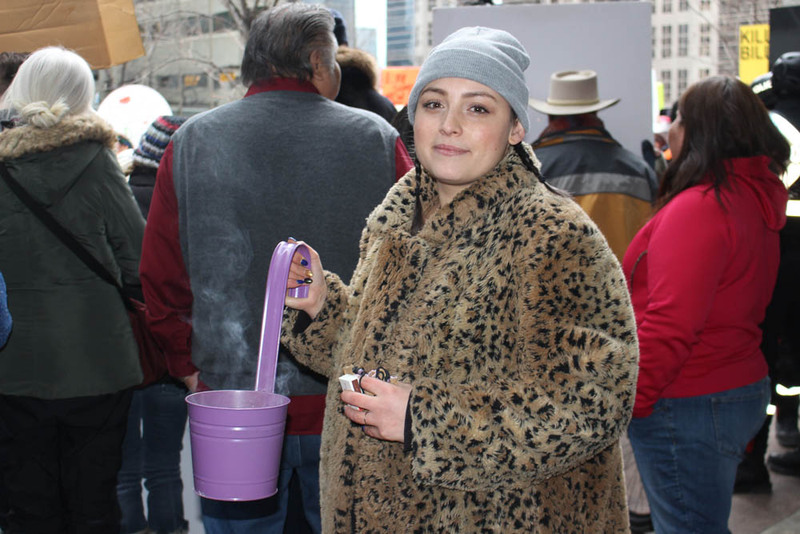 They sang, played drums and burned sage. 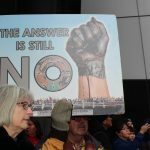 Pro-pipeline advocates countered with their own chants of ‘Build that pipe,’ banners and signs. 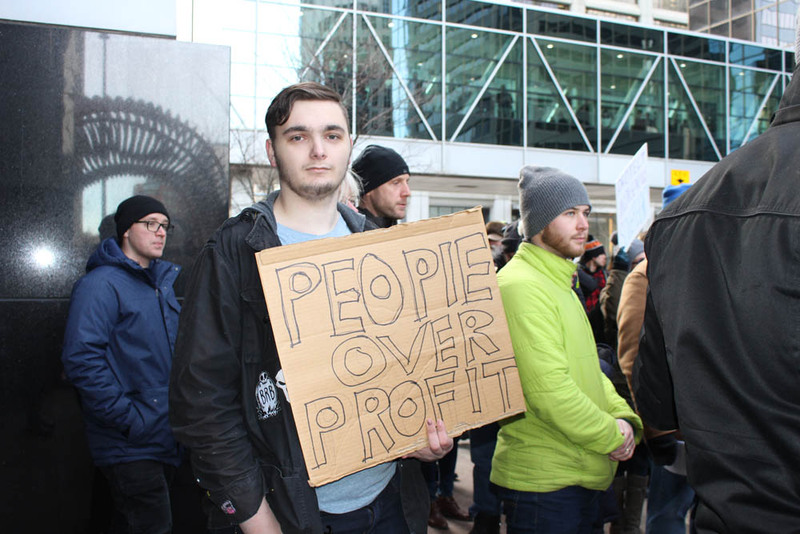 Judy Johnson stood near the back of the pro-pipeline group that had gathered with a sign reading “Foreign-funded, eco-shaming radicals NOT welcome”. 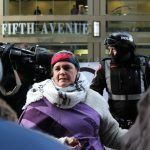 She said that she does not believe the pipeline route should be moved. Amongst the shouts and chants, Abbey Shaw walked through the crowd in a heavy patterned coat carrying a purple bucket with burning sage. 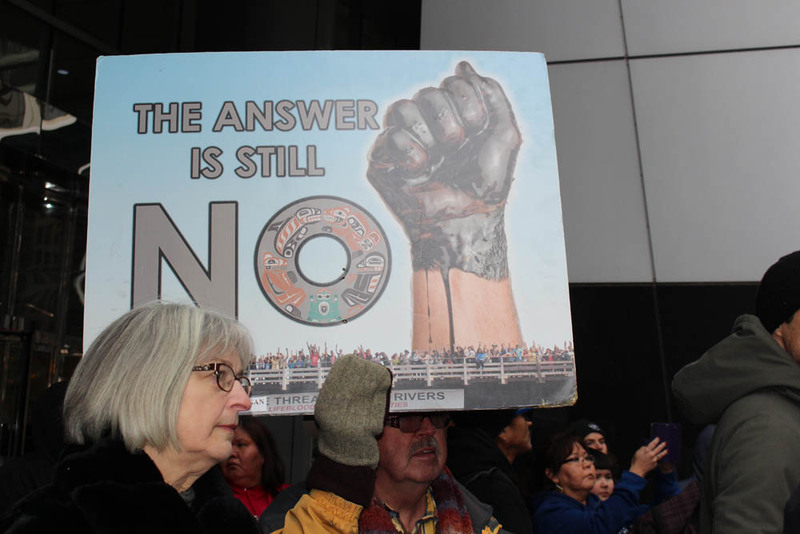 Shaw expressed her concerns about the pipeline project regarding consent. 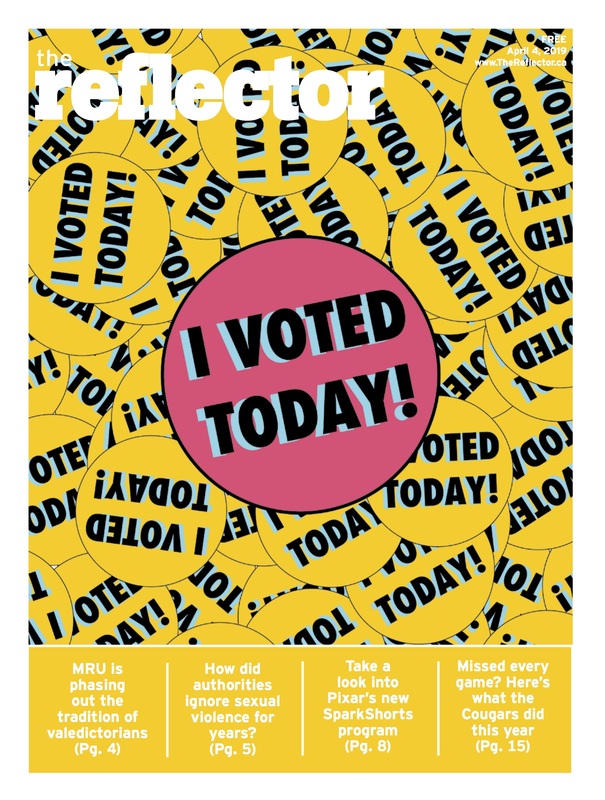 “The whole world is talking about consent right now, in every area, and this is a live and living colour example of how we need to respect consent,” she said. 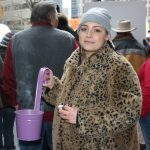 The Calgary demonstration was one of the smaller examples of solidarity in Canada, yet there was a division of Calgarians that was clearly displayed.